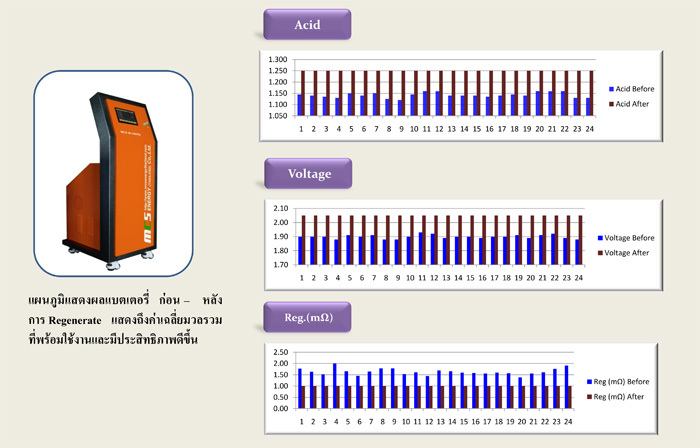 Over millions lead storage batteries are consumed in Thailand every year, and sales have been increasing every year. As the quantity of lead storage batteries being used has increased, the number of used lead storage batteries being disposed has also increased. Recycling requires destroying the lead storage batteries, decomposing PP, lead and other elements so as to reproduce raw materials. Recycling requires a great deal of energy, time and labor. However, regeneration enables saving a lot of resources as well as takes less processing time compared to recycling . Regeneration is an eco-friendly method. 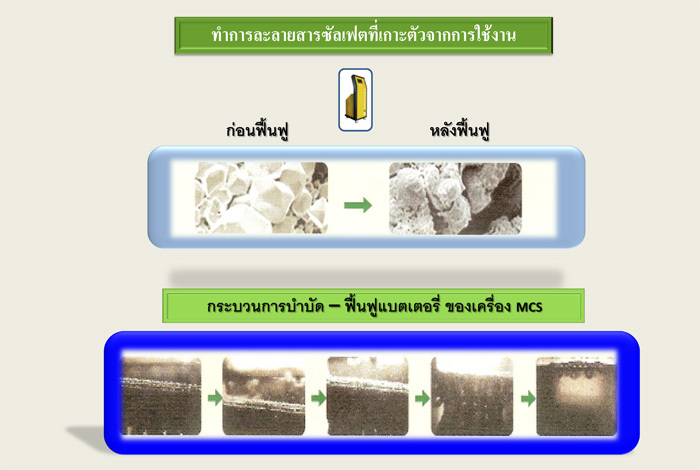 MCS, the device regenerating lead storage batteries using electrical properties, solves the problems caused by used lead storage batteries. A lead storage battery, a secondary battery, processes the electrochemical reactions as described below. 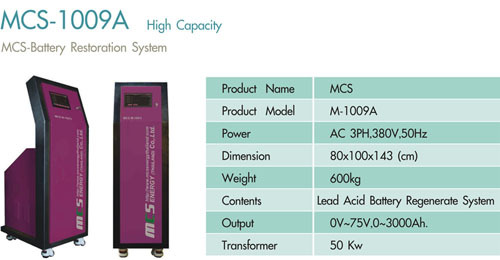 Reducing power consumption and applying a highly efficient circuit by returning power during discharge to the power supplier. A battery is regenerated by one touch after setting A.V. Simultaneous regeneration of 9 12V-batteries. 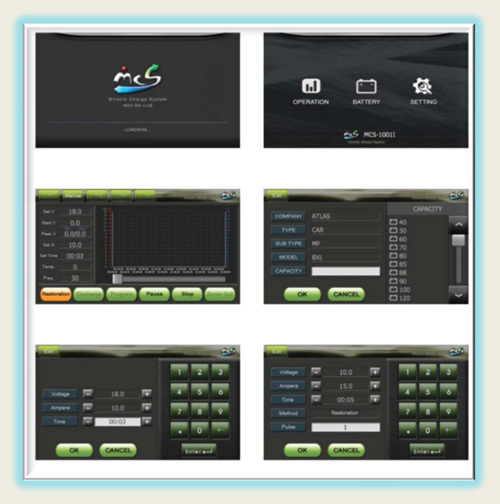 Almost permanent use by simplifying the circuits and using the best components. Regeneration by MCS takes about 3 to 5 hours. which is more than 70 times faster than competitors products.